One of my favorite topics is word economy. It's something I practice almost every day. I enjoy the challenge of chopping sentences and paragraphs down to size. I work for a trade journal to pay the bills. One of the features I write is an excellent exercise in word economy and being concise. I have to distill a press release down to just two or three sentences. On the weekends, when I'm editing my science fiction, I go through my first and second drafts looking for unnecessary padding that weakens the sentence and thereby the thought, bogs the story down or makes the true meaning unclear. I write flash fiction. For those who are unfamiliar with my new love, it's a complete story composed in (usually) under 1K words. Sometimes it's under 500. Writing flash has helped my other writing because every word has to count when you only get a thousand of them to work with. Last weekend, I hacked a 5100 word story down to under 4000 to fit the requirements of the next venue I was sending it to. I'm glad of the requirement, because losing those 1100 words made the story stronger. I only removed one scene – and with it one POV. The rest was pointless filler, indirect sentences and unnecessary details. I have a tendency to start a story as though it’s a novel, including more characters and POVs than the shorter work can comfortably support. One easy fix is to look for the characters that don't help advance the story. Which ones will not be missed? Do they only do one or two things that are crucial to the story or to the other characters? Can another character perform those actions, or is there another way to accomplish the same objective? That's the first place I start when I'm going back to tighten things up. Next, I look for scenes that might be descriptive, moving or clever, but do nothing to advance the story or develop the characters. This is where that old "kill your darlings" adage comes in. Of course, some of those scenes are neither moving nor clever and the choice is clear. If they're not even descriptive, shame on me. Then I get out my scalpel for the paragraphs and sentences. Sometimes it's like solving a puzzle, finding a more direct way to say something. Here are some examples of how I cut my 5100 word story by 1100 words, along with explanations where necessary. In this example Jeffrey is in a school bus rolling down a hill. His horror is evident and "were thrown" is passive. I deleted this whole sentence: Only seconds passed before the bus slid into the water. If I'm moving the story along, I don't need to comment on the passage of time. I later had the bus sliding into the water in the midst of immediate action, so this was completely unnecessary. Also deleted: His ski gloves were clipped to his blue jacket. This was a minor character with a micro part. Who cares about the gloves, let alone what color his jacket is? And "were clipped" is, that's right, passive voice. Jeffrey didn't hear what they said about the kids whose bodies were never recovered. The above sentence was followed by: He couldn't. He'd been in a trance. A grief-induced, mind-numbing fog. After: He was in a mind-numbing fog. None of that other stuff made a bit of difference. It was as though I thought my reader needed to be beat over the head with more words to get what I'm saying. Of course it's from the grief! No one could know. No one who hadn't experienced it, too. That's why he so desperately wanted Lisa to share the experience with him. He had no one else to tell. I deleted the last sentence above because it's obvious. The reader knows that they both experienced the same accident and that Jeffrey suspects that she is having similar after-effects. Before: A teenager with a pimply face and greased back, mousy brown hair approached the table and asked, "What can I get for you?" After: A pimply-faced teenager with mousy brown hair approached the table. "What can I get for you?" My husband said I should lose the waiter entirely. I still might. But he certainly didn't warrant the previous number of descriptors. Also, if you have the speaker doing something in a previous sentence, the reader knows who says the dialog that follows in the next sentence in the same paragraph without the need for a dialog tag. Another good way to practice word economy and being uber precise is poetry. If flash fiction isn't your thing, try writing some poems. Then apply that lean, mean approach to prose to your other writing. You can read two of my flash pieces for free right now. In fact, the editor at Rose City Sisters is running a contest for the best flash fiction story of 2009. "Your Smiling Face," is a bitter-sweet romance with a speculative fiction bent. I get a vote as soon as you view the page. That probably speaks more to my networking ability if I win than the quality of my story, but I'd still like to win. The prize is a beautiful necklace. Not to mention the bragging rights. In "Grey Drive ," you'll glimpse one possible direction that media storage could take in the future. This one was actually described as "cute," which is very funny to me since I don't usually do cute. My fiction tends more towards tragic and dark. 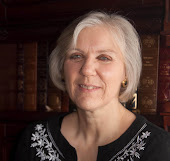 Ann runs the very informative Science Fiction and Other Oddyseys blog and has a growing collection of big-name interviews with some of the giants in our genre to her credit. You can catch more of her work at www.annwilkes.com.